Names of prospective students are registered from October onwards. Parents have to collect the application form from the school office and do the registration. 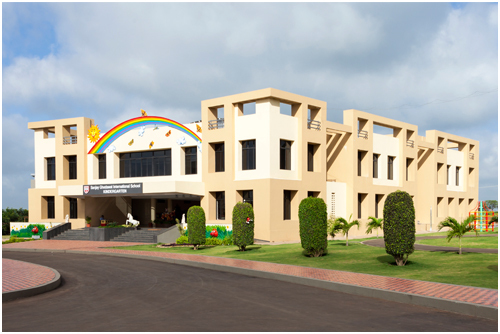 After the sorting of the admission form the child will be called for a written assessment. In case of K.G a personal interaction of the child with the class teacher and parents. For grades 1 and above a small assessment test will be conducted of the subject English, Science and Math. Admission Test will follow a personal interaction of the child & the parents with the principal. The results of admission procedure will be declared within 48 hours. School Fees Exclude Transportation, External Examination Fees, Check Point Grade VIII, IGCSE Grade X, A & AS level of Cambridge, CBSE Grade X Examination Fees. Fees are acceptable in the format of NEFT, Demand Draft or CTS Cheque. Students converting from Boarding to day boarding should do so at the end of a term. Student converting from Boarding to Day boarding in the middle of the term shall have to pay boarding fee for the first term.